Hampton Bays Elementary School students twirled and bopped on Jan. 16 during an hourlong dance-a-thon sponsored by the school’s community service club, K-Kids. The event raised $800 for the Hampton Bays Kiwanis Club’s St. Jude Children’s Research Hospital fundraiser. Students raised the funds through pledges they procured from family and friends prior to the event. 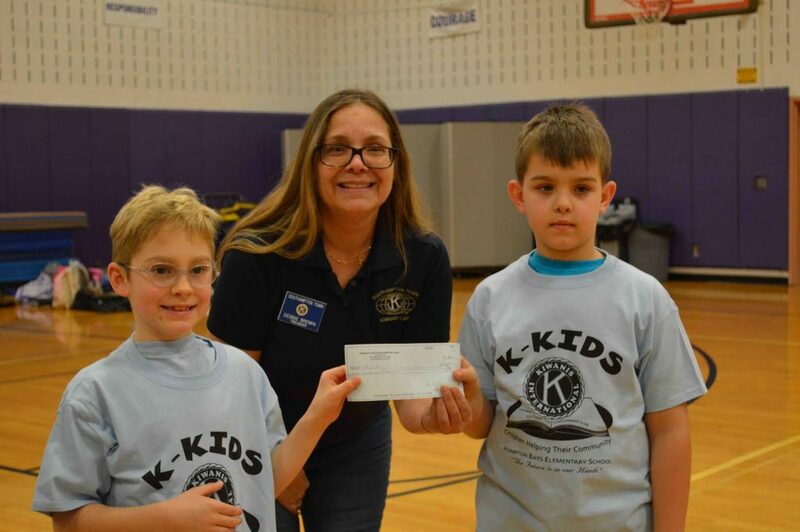 Pictured are students Peyton Singles (left) and Emil Zaleski presenting Debbie Brown of the Kiwanis Club with a check.